When your mom and dad talk about swing dancing to the music of Elvis Presley and Chuck Berry back in the 50's, this is the dance they were doing. Also called The Jitterbug, East Coast Swing is the official "sock hop" swing dance for jump blues. East Coast Swing is a circular, rotating swing dance that has many wraps, tunnels, and turns. The basic step is: rock step, triple step, triple step. Also, you may find instructors that teach the step in reverse using triple step, triple step, rock, step. This is a styling issue and neither way is right or wrong. Use what feels right for you. The basic step is tough at first. Fortunately, it's like learning to jump rope: initially it's awkward, but eventually it becomes smooth and nearly effortless. East Coast Swing is one of the most popular swing dance styles. East Coast Swing Music: East Coast Swing can be danced to jump blues or to country swing songs. For beginners, the best tempo range is 135-155 beats per minute. You can’t go wrong with jukebox tunes from Elvis Presley and Chuck Berry. History of East Coast Swing: East Coast Swing was derived from the Jitterbug, which grew out of the dance halls of Harlem during the 1920’s. Essentially, the terms East Coast Swing and Jitterbug are synonymous. 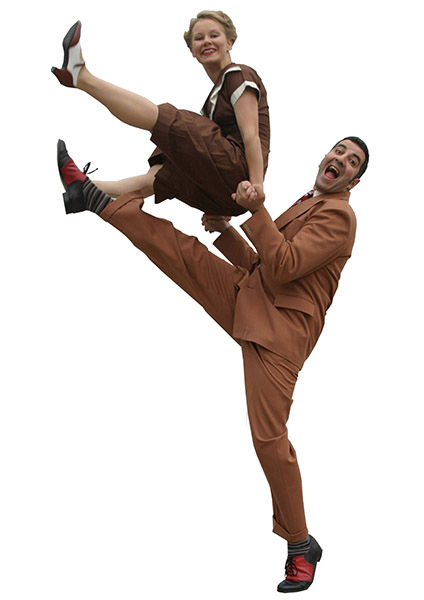 Get 2 private east coast swing dance lessons for only $10! Singles or couples welcome. © 2015 All That Dance Studios in Louisville. Offering east coast swing dance lessons Louisville KY. Try 2 private east coast swing dance classes for only $10 and learn east coast swing dancing in Louisville.